COLUMBUS, OH, Jan. 31, 2019 /PRNewswire/ – Green Growth Brands (CSE:GGB) (OTC:GGBXF) (GGB or the Company) announced that yesterday, January 30, it executed an arm’s length definitive agreement to acquire control of ZLJT LLC & Arizona Natural Pain Solutions Inc, collectively referred to as “Desert Rose”. Desert Rose holds a license for a vertically-integrated operation in Arizona, including retail, cultivation & infusion (kitchen). As consideration for the membership interests, GGB will pay an aggregate purchase price of USD$12,350,000 (CAN$16,292,120) in cash. said Green Growth Brands (CSE:GGB) (OTC:GGBXF) CEO Peter Horvath. Desert Rose, located on the corner of 7th Ave and Happy Valley Road, close to the Norterra shopping center, was founded in August 2016 and has grown to serve nearly 400 patients per day. Desert Rose specializes in top-tier flower, vape pens, concentrates, edibles and tinctures. Desert Rose has over 237 reviews on Google and a 4.7/5 star rating and offers a loyalty program where customers earn back 1% of their purchases to be spent in the dispensary. The state of Arizona currently restricts cannabis consumption for medical use but appears to be moving towards legalizing recreational use. According to the Arizona Department of Health Services, marijuana sales in the state reached almost 122,000 pounds in 2018, a 41% increase over 2017, with over 186,000 registered medical marijuana patients as of December 2018. Completion of the acquisition is expected to occur in February 2019 and remains subject to regulatory approval, customary conditions of closing and the satisfactory completion of due diligence by Green Growth Brands (CSE:GGB) (OTC:GGBXF). The Desert Rose transaction further expands Green Growth Brands (CSE:GGB) (OTC:GGBXF) position as a multi-state operator (MSO), with Arizona representing the third U.S. state in which the Company will have a marijuana-related operations. The Company intends to become one of America’s leading MSOs, having previously announced in December 2018 its entry into the Massachusetts cannabis market via the execution of a definitive agreement to acquire 100% of the membership interests of Just Healthy LLC (“Just Healthy”), and later that same month the expansion of operations and the awarding of additional licenses in Nevada. In addition, Green Growth Brands (CSE:GGB) (OTC:GGBXF) is pleased to announce the completion, on January 30, 2019, of its previously announced acquisition of Just Healthy LLC (Just Healthy). Just Healthy holds provisional certificates of registration for a registered medical marijuana dispensary, cultivation, and processing site in Northampton, Massachusetts. Pursuant to the terms of the Just Healthy membership interest purchase agreement, Green Growth Brands (CSE:GGB) (OTC:GGBXF) issued 1,480,057 common shares of GGB (Common Shares) at a price of CAD$2.88 per Common Share (representing a 15% discount to the closing market price of the Common Shares on the Canadian Securities Exchange on December 11, 2018 (being the date immediately preceding the date of the news release announcing this transaction)). GGB has also assumed and satisfied USD$455,000 (CAD$569,933) of Just Healthy corporate debt. In connection with the acquisition of Just Healthy, Green Growth Brands (CSE:GGB) (OTC:GGBXF) has elected to exercise an option to purchase land in the Northampton, Massachusetts area for a total purchase price of USD$700,000 (CAD$923,440). The land is the future site of the cultivation facility. The land portion of the transaction is expected to close on January 31, 2019 and remains subject to customary closing conditions. 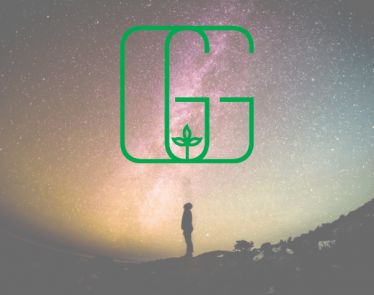 Green Growth Brands (CSE:GGB) (OTC:GGBXF) brands expects to dominate the cannabis and CBD market with a portfolio of emotion-driven brands that people love. Led by Peter Horvath, the GGB team is full of retail and consumer packaged goods experts with decades of experience building successful brands. Join the movement at GreenGrowthBrands.com. Certain information in this news release constitutes forward-looking statements under applicable securities law. Any statements that are contained in this news release that are not statements of historical fact may be deemed to be forward-looking statements. Forward-looking statements are often identified by terms such as “may”, “should”, “anticipate”, “expect”, “intend”, “forecast” and similar expressions. Forward-looking statements necessarily involve known and unknown risks, including, without limitation, risks associated with general economic conditions; adverse industry events; marketing costs; loss of markets; future legislative and regulatory developments involving medical and recreational marijuana; inability to access sufficient capital from internal and external sources, and/or inability to access sufficient capital on favorable terms; the marijuana industry in the United States, income tax and regulatory matters; the ability of the Company to implement its business strategies; competition; currency and interest rate fluctuations and other risks, including those factors described under the heading “Risks Factors” in the Company’s Annual Information Form dated November 26, 2018 which is available on Green Growth Brands’ (CSE:GGB) (OTC:GGBXF) issuer profile on SEDAR. Readers are cautioned that the foregoing list is not exhaustive. Readers are further cautioned not to place undue reliance on forward-looking statements as there can be no assurance that the plans, intentions or expectations upon which they are placed will occur. Such information, although considered reasonable by management at the time of preparation, may prove to be incorrect and actual results may differ materially from those anticipated. The forward-looking statements contained in this release, including, but not limited to, the Company’s ability to execute on its growth strategy, the Company’s vision to become a multi-state operator with retail stores exceeding certain financal thresholds, the completion of the acquisition of ZLJT, the receipt of regulatory approvals, the satisfaction of closing conditions, the completion of satisfactory due diligence of ZLJT by Green Growth Brands (CSE:GGB) (OTC:GGBXF) and the state of Arizona legalizing recreational cannabis use, is made as of the date hereof and the Company is not obligated to update or revise any forward-looking information, whether as a result of new information, future events or otherwise, except as required by applicable securities laws. Forward-looking statements contained in this news release are expressly qualified by this cautionary statement.